Gorgeous luminous and translucent batch of smoky quartz!! We want our customers to be able to experience new crystals without investing a fortune. 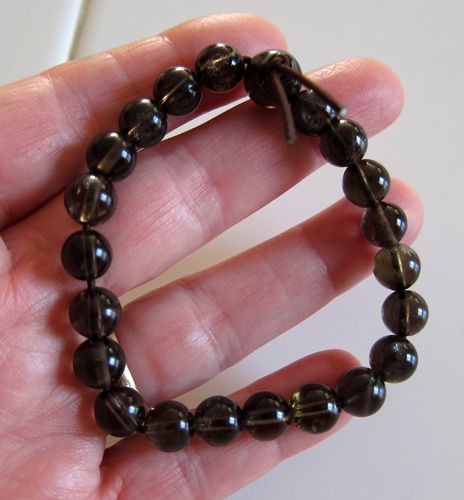 Try these luminous smoky quartz bracelets to experience the lovely healing energy signature of this stone. Then check our smoky quartz section for more great smoky crystals! Read more about smoky quartz crystalsand other types of crystals at the SatyaCenter.comcrystals homepage. We know that you will use this powerful crystal with loving care and respect its long evolutionary journey deep in the Earth, which has developed its unique metaphysical properties and beautiful appearance.